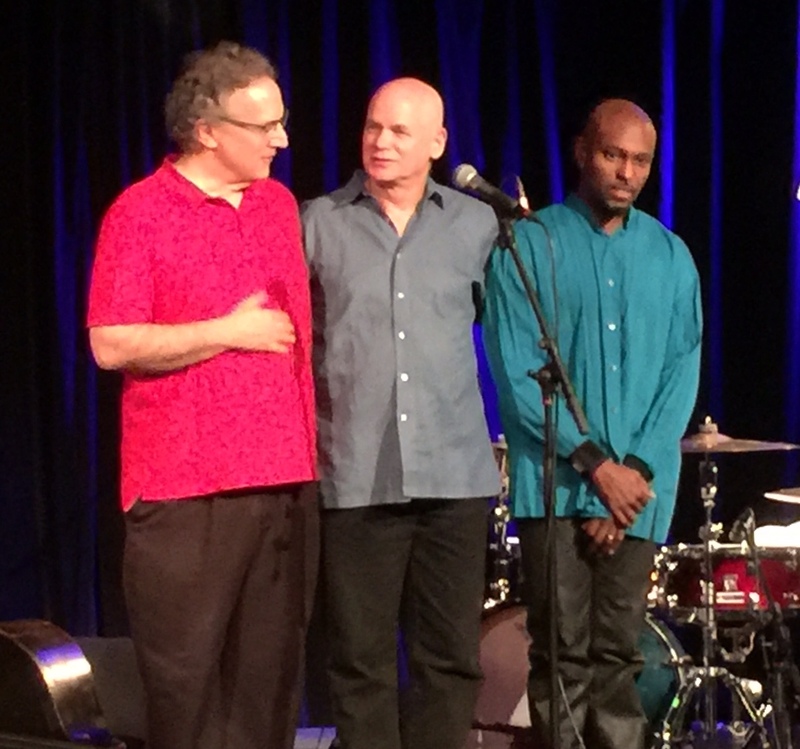 The onstage announcer before this concert by Uri Caine's trio started by telling us quite categorically what they were not going to play. It was not going to be a run-through of the fifteen short and contrasted compositions from the trio's latest album Calibrated Thickness (816 Records). That announcement might sound unhelpful, but in fact it set up the context very well indeed for a superb set. In the hands of a trio like this, we set off an unpredictable journey, and the introduction served as a reminder that the live experience is something different, unique, not-to-be-repeated. And special. We are a long way from head-solos-head here, and into something much more organic and intuitive and, perhaps above all, free. The first collective improvisation was around half an hour - the time passed very quickly - and it came to an end in an unexpected way - particularly odd considering it was being recorded for radio transmission. An audience member made a particularly loud sniff over a quiet, passage close to silence, it raised a laugh in the audience, broke the mood. Caine made a virtue of it, however. He stopped, made a thumbs-up sign, accepted the applause and told the audience it had been a perfect ednding - that the sniff had reminded him quite how much he hated Donald Trump. The Cavernen 1595 is a great venue and this was a completely nourishing experience. Caine completely engages the listener's heart, head and sense of humour. This was a gig which will stay in the mind.